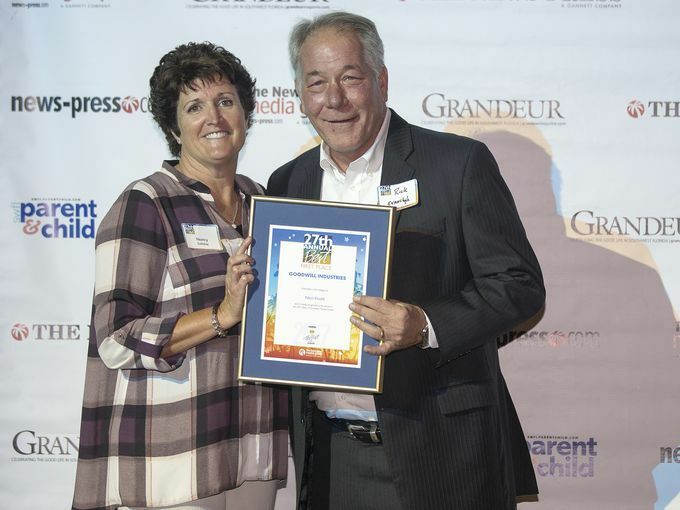 FORT MYERS, CAPE CORAL, BONITA, ESTERO, NAPLES,, Fla. - July 27, 2017 - PRLog -- Goodwill Industries of Southwest Florida is honored to have been chosen by News-Press readers as the "Best Non-Profit" in Southwest Florida. The award was announced July 25 during the 27th Annual Best ceremonies at the Broadway Palm Dinner Theater. Goodwill is a past recipient of the award. The non-profit has provided programs and services in Lee, Collier, Charlotte, Hendry and Glades counties for more than 50 years. "We appreciate that News-Press readers continue to recognize the opportunities we provide to people with disabilities and disadvantages in the community," said Rick Evanchyk, President and CEO of Goodwill Industries of Southwest Florida. By donating and shopping at the non-profit's retail locations, the community supports the Goodwill mission, which is to help individuals live more independently. Goodwill Industries of Southwest Florida, Inc. is a 501(c)(3) nonprofit organization. Goodwill's programs in Southwest Florida include Pathways to Opportunity adult day training, Job-Link resource centers, MicroEnterprise Institute small business training, High School High Tech career exploration, veterans services, disability-accessible housing, and more. For more information about Goodwill, please call (239) 995-2106, ext. 2213 or visit www.goodwillswfl.org.